Optimal stability underneath the crown. Bubble free mix with direct intraoral application. Radiopaque quality supports good postoperative diagnosis. 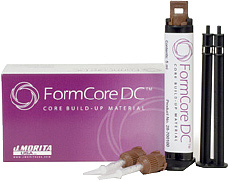 Core build-up of vital tooth & non-vital tooth.